Yoga Asana can be a beautiful thing to behold. When we experience — or see — poses done with grace and ease, it can fill us with peace, joy and a sense of wonder and accomplishment. 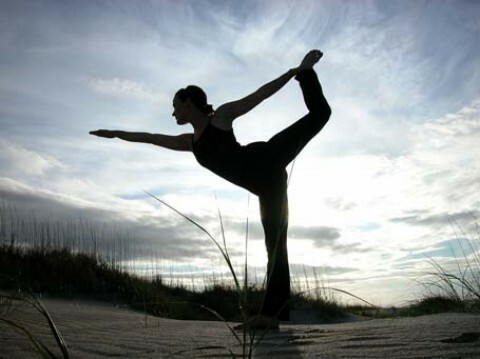 Although we strive for detachment, to show no preference for one pose over another, this doesn’t tend to be our reality. I don’t know about you, but I definitely have some poses that I find delightful (Eka Pada Rajakapotasana (Pigeon), Ardha Chandrasana (Standing Half Moon), Bakasana (Crane/Crow), Virhabradrhasana II (Warrior II) are just some), and some that I find downright challenging, to put in nicely, like Mandukasana (Frog Pose), Gomukhasana (Cow Face Pose) or Purvottanasana (Upward Plank Pose). Quite often, the reality is that the poses to which we are most resistant are really the poses we most need. And keep in mind, that need can reside in the physical, mental, emotional or energetic bodies — or some combo of them. Staying present when sensations are roaring through one’s body … breathing deep, finding compassion and the necessary patience to let a pose unfold — or rest in where one’s body and mind land — can be really challenging. So, how do we do it? Well, if there’s no sharp pain, no truely dangerous or harmful place in the pose, then we use a little will, a lot of compassion, throw in some humor and then just dive deep into the breath and go for it because there’s no failure in the effort. There’s no shame when the heart opens up in a backbend and finally lets go of grief. There’s no shame when the breath becomes ragged for a few moments because we’ve just twisted into a place and wrung out emotional or mental fear that’s been hiding for days, weeks or years. There’s no shame if the balance is off and we tumble over to the side in an ungraceful heap. There’s never shame, but there’s always discovery. When we apply the effort to stay present, when we take the time to go through our sequences with mindfulness, we’ll find our bodies, hearts and minds responding — we’re more ready then we realize to try that challenging pose. Hello, I am interested and happy to read your blog post. then I get good information about yoga.